Urban centers are known for their diverse flavors and unique establishments. Nowhere is this truer than in Copenhagen’s Torvehallerne. This incredible market is jam-packed with more than 60 vendors selling everything from fresh fish to organic produce to home-baked goods. For travelers looking to eat their way through the city, this is the place to do it! Sample cheese, caramel and chocolate at a shop selling items from the Danish island of Bornholm, Italian-style pizzas from Grom’s and tuck into the flavors of France at Ma Poule, where a glass of wine and possible the best sandwich in the city has the possibility to transport travelers without needing a passport! Whether it’s sushi, tapas, paleo fare or strong and sweet coffee, Torvehallerne is the perfect stop for visitors looking to get a taste of the city! Torvehallerne is open Monday through Thursday from 11 a.m. until 7 p.m., Friday from 11 a.m. until 8 p.m. Saturday from 11 a.m. until 6 p.m. and Sunday from 11 a.m. until 5 p.m. It is located at Frederiksborggade 21, 1360 in Copenhagen. Experience food culture—Copenhagen-style—on this food walking tour of the city. Your guide shows you how to maneuver through the busy markets to sample some of the most popular food in Denmark. Then pop in a local eatery, and enjoy a main course for dinner before heading to a microbrewery for beer tastings and dessert. Delight in Copenhagen’s festive traditions on a Christmas culinary tour of the Danish capital’s foodie hotspots. 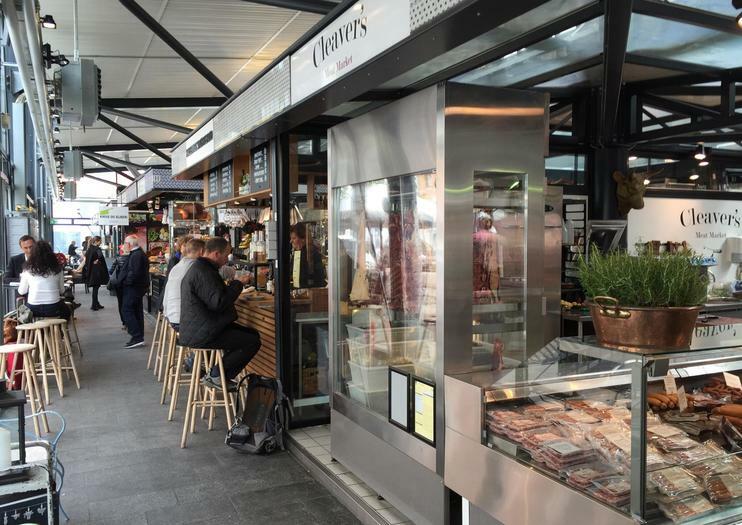 With an expert gastronomic guide, delve into Denmark’s rich culinary heritage and absorb the electric atmosphere of Torvehallerne, the capital’s most popular food market. Pleasure your palate with Christmas delicacies like cookies and licorices; sample sizzling sausages fresh off the grill; and sip warming glasses of mulled wine, Christmas lagers and sweet schnapps during your fulfilling tour. Focus on Copenhagen's commitment to sustainability during this 2-hour walking tour of the Danish capital. As you visit both hidden gems and popular landmarks, you'll listen to guided commentary on the city's environment, culture, history, and propensity for green living. Highlights include Christiansborg Castle, Torvehallerne, Stroget, and others.